The goal of this project is to increase proficiency in youth ages 2-7 by establishing and operating a Lingít language nest. 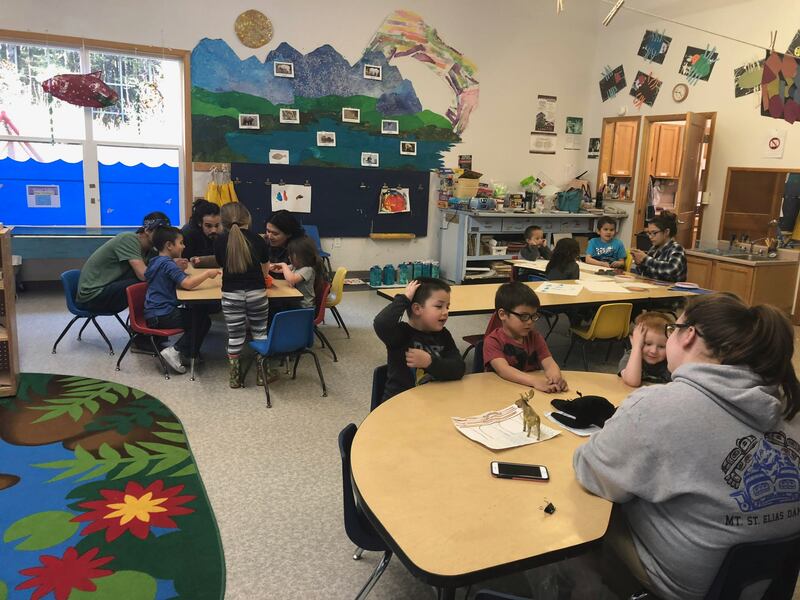 The Yakutat Tlingit Tribe will also pilot and expand the current Lingít language resources and curriculum, compiling these lessons into a Teacher Workbook that will be available to second language Tlingit Language teachers regionally by project end. Sustainability will be obtained through credentialing of language nest teachers as Child Care Associates. We will continue to build the Lingít language proficiency of our Assistant Teachers, further propelling them into Advanced levels of fluency. Yakutat has not produced a first-language Lingít speaker in the last seven decades. In 2002- 2003 during the Yakutat Tlingit Tribe’s planning period, 13 fluent-speaking Tlingit elders came together to discuss Tlingit Language Revitalization. During that time our Elders conveyed that our values, worldview and sense of morality are embedded within our language. It was very important to them that our children and grandchildren eventually become first-language speakers. 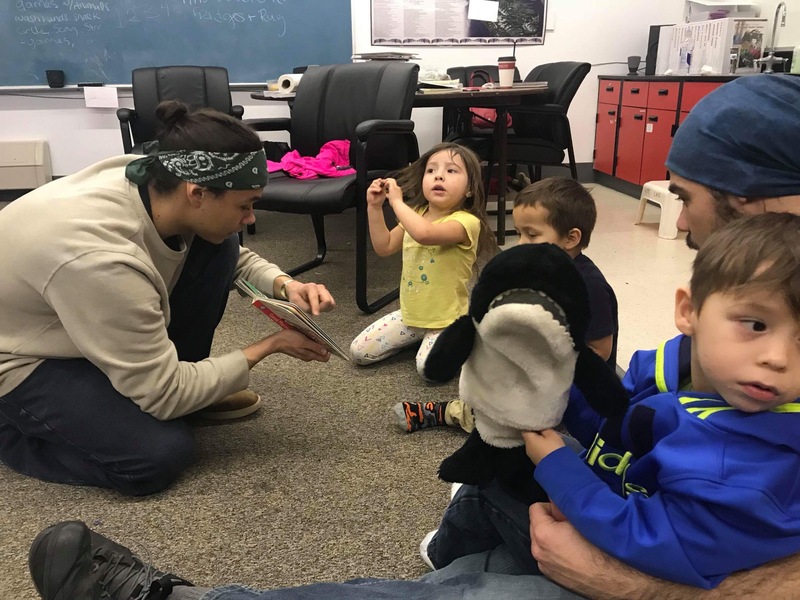 The elders’ desire is reflected in the Yakutat Tlingit Tribe’s long-term goal to increase language proficiency among toddlers by establishing a language nest. It is extremely crucial that we act now; Yakutat has one (1) fluent-speaking elder remaining living within the community, this is an 99% attrition rate since 1995. When the Yaakwdáat Lingít language revitalization program first began back in the 1980’s, zero second-language learners existed. Today, we have fifteen (15) intermediate second-language learners, of these, six (6) are adults and nine (9) are youth. 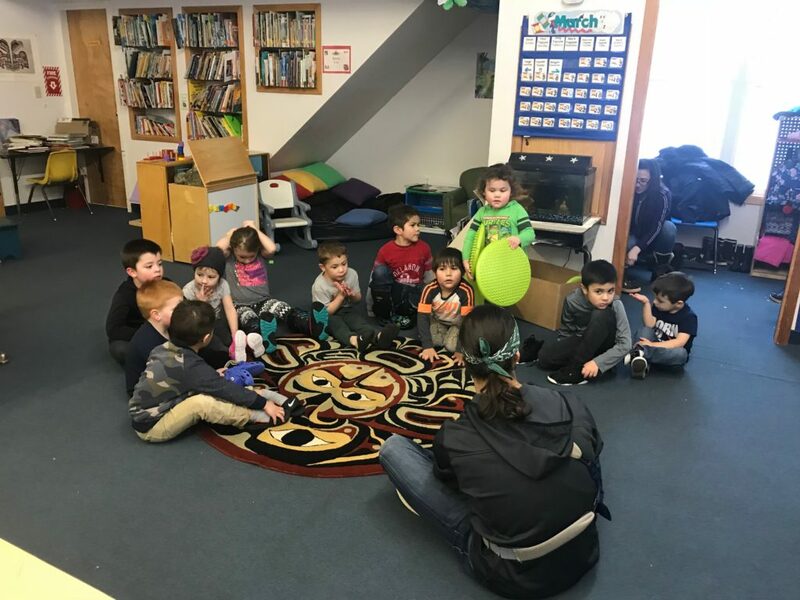 The Elders felt that in order to fulfill the Yakutat Tlingit Tribe’s goal of intergenerational fluency, we must focus on creating highly proficient speaking toddlers within the language nest and their homes. 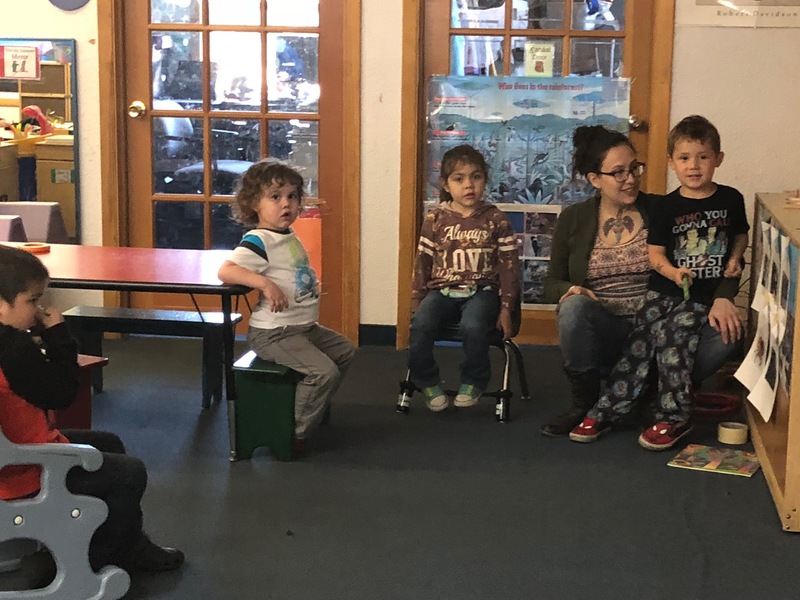 These highly proficient toddlers and their families will have the ability to become the first generation of second language fluent speakers and raise the first generation of first-language speakers. 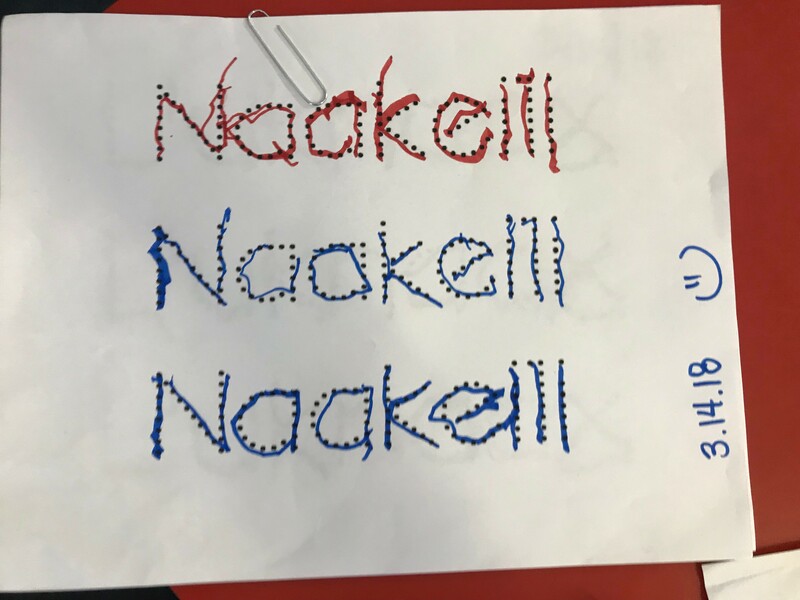 This project, Haa Yaakwdáat Lingít Yoo X̱ ‘atángi Kúdi, “Our Yakutat Tlingit Language Nest,” will bring us closer to our long-term goal of creating fluent first-language Lingít language speakers. 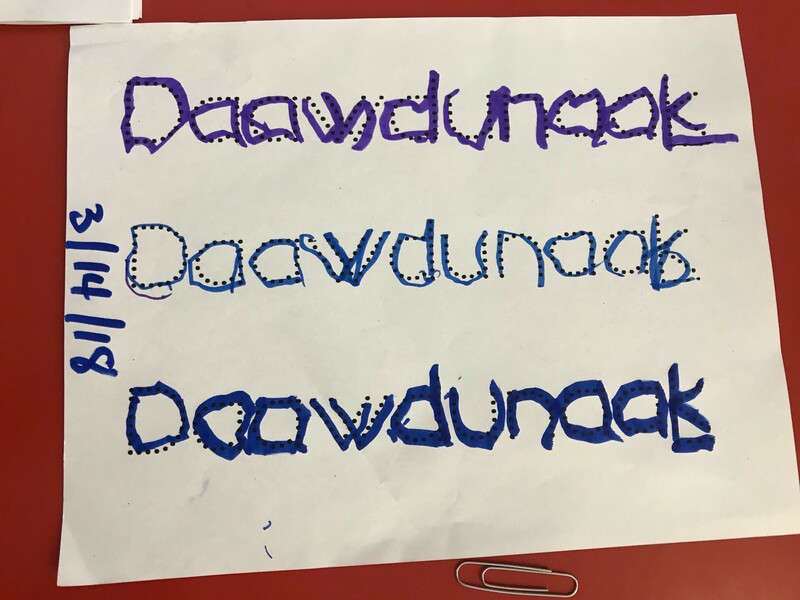 Objective 1: Increase Student Language Proficiency & Family Participation: By the end of month 36, fifteen (15) children ages 2-7, will each participate in 500 immersion hours per project year and will increase at least two (2) proficiency levels as outlined in the Yaakwdáat Lingít Language Proficiency Guidelines. 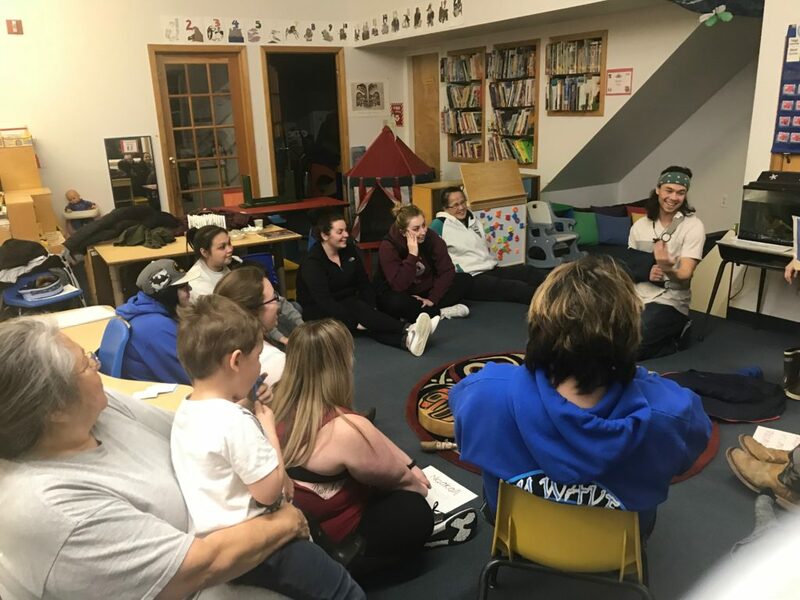 A minimum of one parent/family member of each the language nest children will be required to participate a minimum of 26 hours per year in the bi-monthly Lingít Language Dinners. Objective 2: Increase Teacher Proficiency: By the end of month 36, teachers will complete a total of 160 immersion hours per year by participating in four (4) mini-immersions or regional immersion retreats per year. Teachers will increase one (1) proficiency level as outlined in the Yaakwdáat Lingít Language Proficiency Guidelines. Objective 3: Resource Development and Child Development Associates (CDA) Credentialing: By end of month 36, all YTT language curriculum will be piloted and combined into a teacher workbook along with all materials required for each lesson. 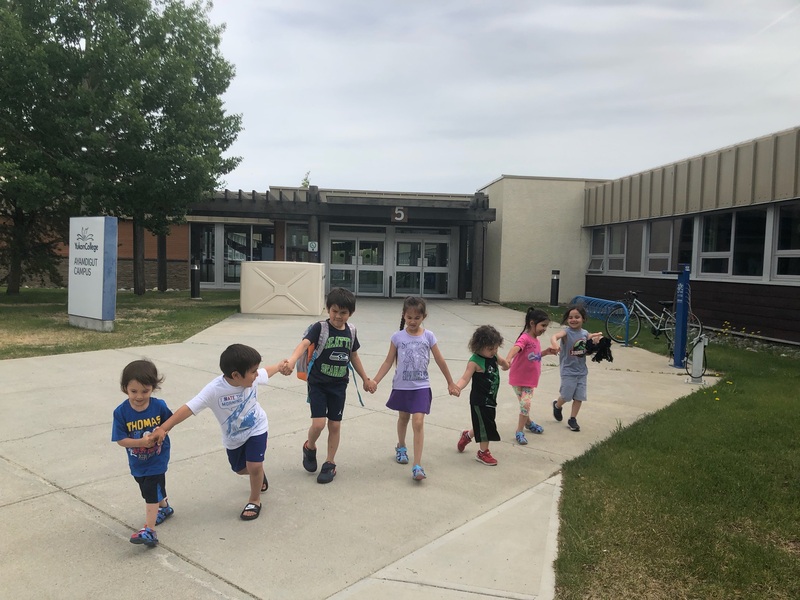 By the end of month 36, a minimum of two (2) apprentice teachers will complete the educational and practical requirements toward a Child Development Associate (CDA) Degree to ensure the Language Nest remains a State of Alaska certified Child Care Center. ANA believes language revitalization and continuation are two of the first steps taken in preserving and strengthening a community’s culture. Use of native language builds identity and encourages communities to move toward social unity and self-sufficiency. supports Native American communities by providing financial assistance and capacity building, gathering and sharing data, and advocating for improved policies within HHS and across the federal government.